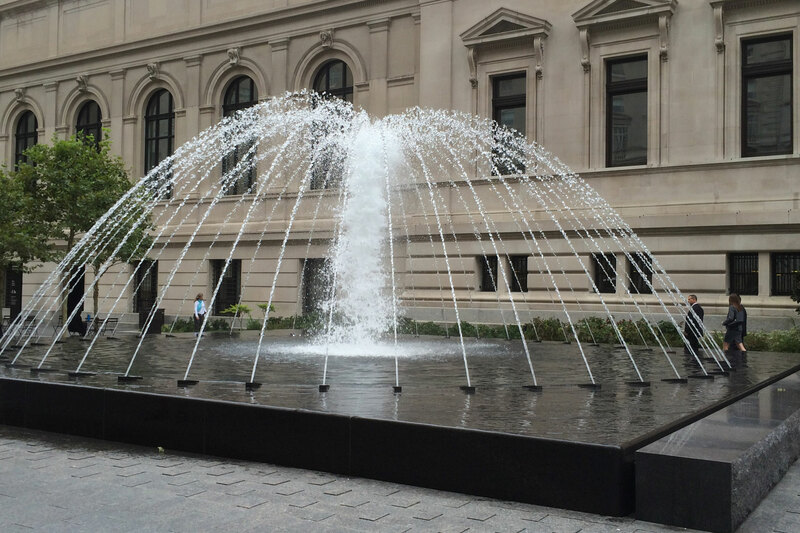 The water features outside the Metropolitan Museum of Art in New York were part of a plaza renovation that took over two years to complete. 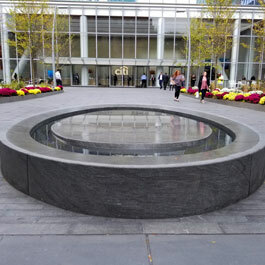 The water features in the plaza are programmed with custom water jet streams designed and manufactured by Delta Fountains. Each of the jets were designed to house RGB LED lights that illuminate the water streams at night. 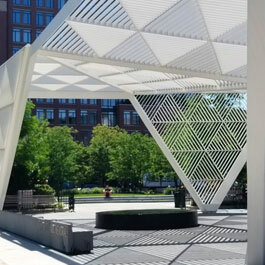 Delta designed the jet sequencing equipment and program to run together and separately as a wave around the fountain's middle. 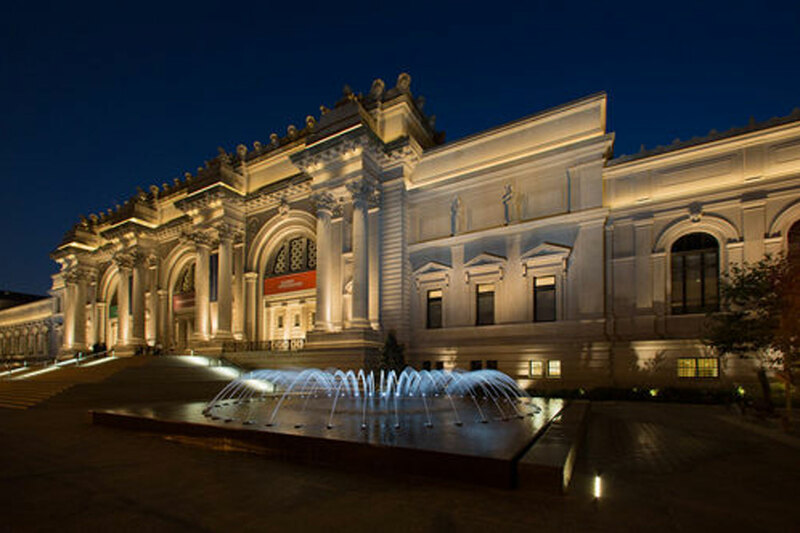 The Metropolitan Museum of Art in New York rededicated its entrance plaza the David H. Koch Plaza in 2015. 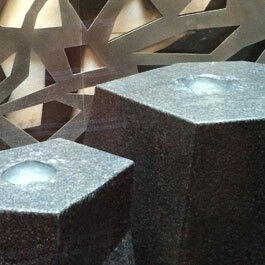 The two large tabletop fountains on each side of the walkway are programmed with synchronizing light and water shows. 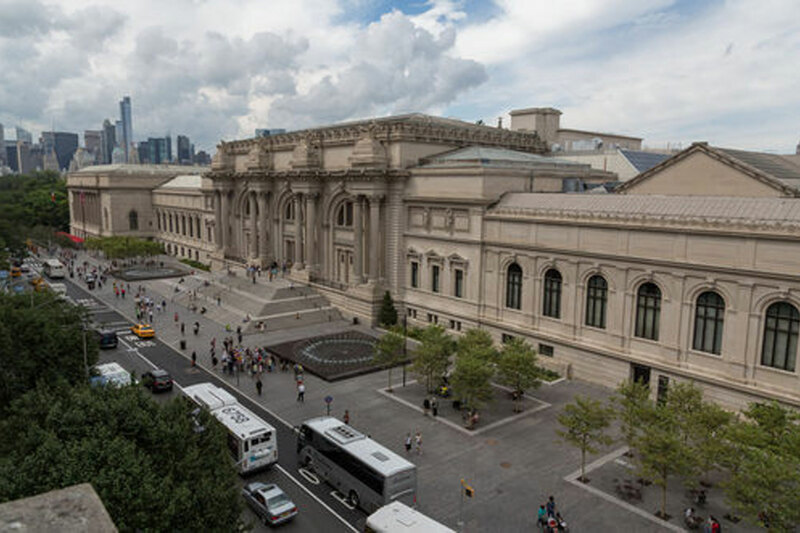 The Metropolitan Museum of Art plaza redesign encompassed the entire 1,021-foot-long, 70,706 square foot plaza. This modernization was more than one century after the completion of the original façade and more than 40 years after the plaza’s last renovation. The entire project took two years to complete. 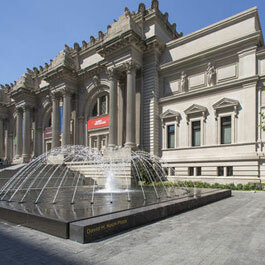 Delta Fountains provided the equipment for the two entrance fountains at the Museum’s 5th Avenue entrance. 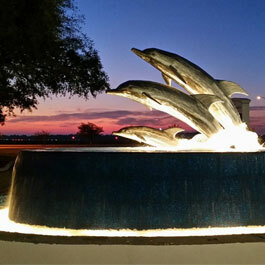 Each fountain holds 21,000 gallons of water, multiple underwater LED lights, and has 48 programmable water jet streams, which are able to independently modulate, allowing for stunning display opportunities. Museum courtyard visitors can relax along the fountain’s granite border and enjoy the light and water shows.